Akonza equipment makes work more effective, as wll as adds strength and tone to the entire abdominal section. 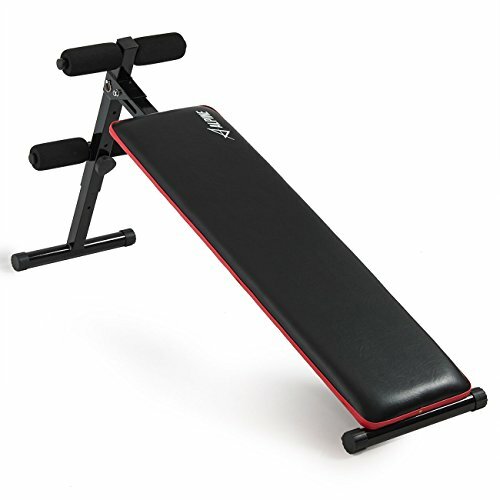 With ample padding and heavy duty steel construction, our sit up equipment provides stability for simple exercises and is ideal for you to more easily emphasize lower abdominal muscles and build the abs you want in less time. Giving you a rapid path to good health, physical fitness and the body you really want. A final benefit is that the bench folds away for convenient storage, perfect for home workout warriors and fitness enthusiasts. Adjustable Height: 19-1/4" - 24"
If you have any questions about this product by Akonza, contact us by completing and submitting the form below. If you are looking for a specif part number, please include it with your message.